Buffer drives web traffic, increases fan engagement and saves time on social media. Log into your Buffer account. Select a social media type from the dropdown list. Select a Buffer Klip from the Gallery. In the popup Connect to Buffer to authorize Klipfolio enter your Login credentials. 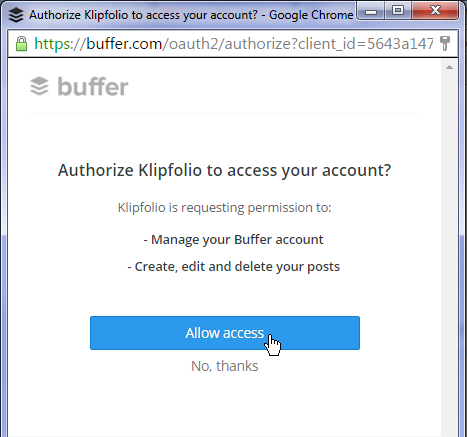 At Authorize Klipfolio to access your account? select Allow Access. Select the social media type from the drop-down menu. For example, LinkedIn.